Has your workspace taken over your home, office, or garage? There is a simple fix to this common problem: a metal workshop! Carport Central’s vertical roof metal workshops are perfect for customers who are in need of a safe, secure place to work, relax, or engage in their craft with no distractions. Choosing your roof style is one of the first, most important, steps you will take during the design process. You want to choose a roof that provides reliable protection for your vehicles and other valuables as well as one that can withstand harsh weather elements. Not only is the vertical roof our strongest available option, but the longest-lasting and most cost-effective. While vertical roofs are designed to perform its duties in a variety of climates, it best serves its purpose in areas that experience harsh weather such as high winds and heavy snowfall. Its vertical-oriented panels can easily channel snow, rain, fallen leaves, and other debris off the roof and away from the base of the structure. Vertical roofs are also installed with ridge caps and hat channel pieces that provide additional protection and stability. Customers who order buildings taller than 36’ are required to have a vertical roof installed as well. Roof Styles – We offer three roof styles to our customers – regular (good), A-frame/boxed-eave (better), and vertical (best). Our regular roof has corrugated ridges running horizontally, perfect for shielding your vehicle/s from excessive sunlight and other elements. the A-frame roof style is also known as a boxed-eave roof and is best for areas that may receive some bad weather, but not heavy rain or high winds. Color Options –Carport Central provides up to 16 color options, at no additional costs to you, based on your location. We also offer a two-tone Deluxe (wainscot) option which is great for blending seamlessly with already existing structures. Size – Based on your intentions for the workshop, you can choose the dimensions for the unit. The workshop can extend to any length or width you may desire; however, your structure cannot be taller than it is wide. For more information on the listed customizations and others we offer, you can visit our website here or give one of our friendly building specialists a call today at (844) 860-4950. While there are limits to maximum size of an A-frame or regular roof structure, our vertical style workshops have the flexibility to go as big as you dream! You can have a 12’W x 21’L, our more standard size, installed for a starting price of $1,400 and go as big as you would like. 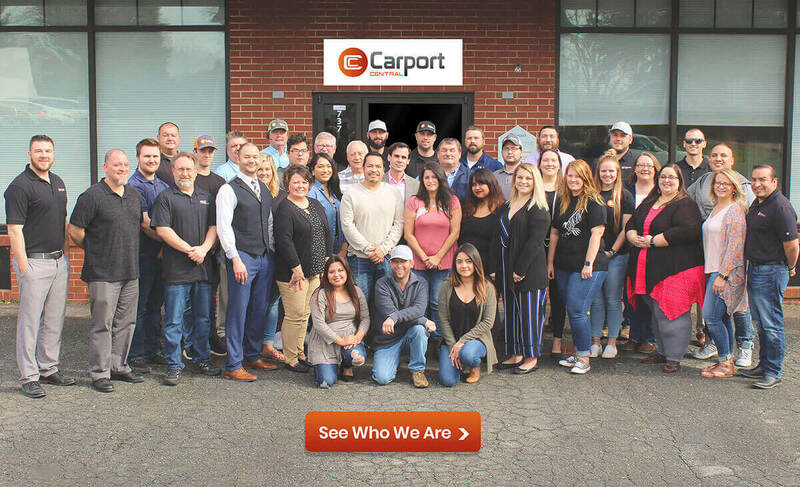 We don’t limit our customers at Carport Central, and we don’t expect them to set limits either. The dimensions of your workshop play a big role in the price of your unit, as well as the installation site, the manufacturer, and any added customizations. Through our collaboration with over 20 manufacturers and installers across the nation, we are able to bring your dream to life! By taking all factors into consideration, and using the pricing sheets provided by our manufacturers, we can finalize the price of your new building. Carport Central is The Dealer for YOU! A unique 3D Estimator that enables customers to design and customize their own metal building from the comfort of home! Carport Central is the largest online dealer for metal carports and other structures. Warranties that cover workmanship, metal siding, and metal framing. Some of the best financing and rent-to-own programs in the metal building industry! Our goal is the provide shelter for your way of life and to form a relationship that lasts beyond the initial sale. Don’t wait any longer, give one of our friendly building specialists a call today at (844) 860-4950 to find your dream building! We can’t wait to get started.